Mirvac is finalising plans for a new $30 million terrace home residential development in Everton Park, Brisbane with construction expected to commence in early 2015. 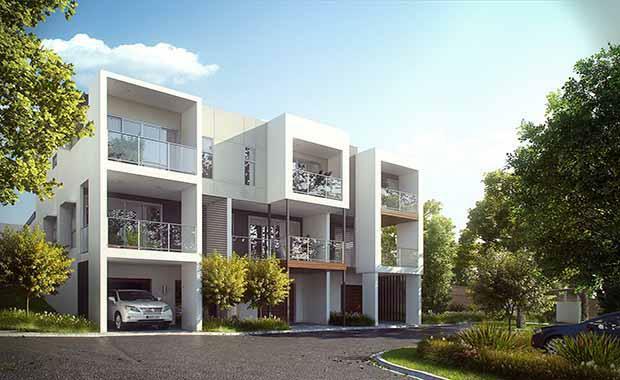 Greystone Terraces, situated eight kilometres from Brisbane CBD, will compromise of 56 two, three and four bedroom terrace homes. Stage one of the community will be released to the market in early 2015, following the release of Mirvac’s Unison, the third stage of its iconic Waterfront Newstead community and the release of Art House in South Brisbane. John Carfi, Mirvac Residential Group Executive said the release of three new projects in a matter of months was a show of the Group’s confidence in the Brisbane market. "The Brisbane property market has really turned a corner and we see a lot of opportunity in the city," Mr Carfi said. "We zoned in on Everton Park due to its prime inner-north location and see it as a real growth suburb in the coming years. "At the moment, you could call it somewhat of a hidden gem. While a number of smaller developments have taken place in recent years, there hasn’t been anything of the quality and scale we plan to deliver at Greystone Terraces." Mr Carfi said development plans for Greystone Terraces were still being finalised, but prices were expected to range from about $500,000. He said the project would meet demand for modern homes in Brisbane's inner-north, providing residents with easy access to employment, transport and lifestyle options. "Demand is increasing for properties that deliver a modern urban lifestyle, with transport at the doorstep, while providing space for the family to grow," he said. "Greystone Terraces will meet that benchmark, providing high quality, well thought-out homes, yet still being affordable property in a niche suburban community setting. "We expect the homes will be popular with investors, young professionals and young families, in particular those who want to be close to jobs and entertainment in the city, while investing in a property that will suit them now and into the future." Greystone Terraces will include a contemporary central recreation zone for residents with a pool, communal kitchen and barbeque area.